KUALA LUMPUR, Malaysia, 26 May 2016 – Galderma partnered with doctors to provide Malaysians natural-looking results from Restylane® fillers and Restylane Skinboosters™ through its Proof in Real Life global campaign – an initiative that aims to build trust in aesthetic treatments by demonstrating natural-looking results of Restylane in real life. If you are looking for a skin specialist in Klang, Selangor (Malaysia); you are at the right place. Skin Specialists or dermatologists are medically qualified doctors who provide a range of skin care services from treating simple skin conditions to diagnosis and management of more complicated skin cases such as Acne, advice on cosmetics, psoriasis, skin cancer, dermatitis, dry skin, rosacea, skin pigmentation etc. Your Invisalign treatment (an alternative to Braces) consists of a series of nearly invisible, removable aligners that you change every two weeks for the next set of aligners. 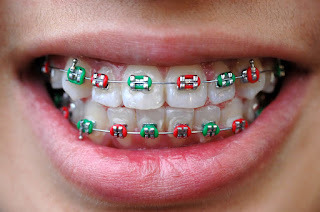 Each aligner is individually manufactured for your teeth, and your teeth only. As you replace each aligner, your teeth will move - little by little, week by week - until they have straightened to the final position prescribed by your dental provider. 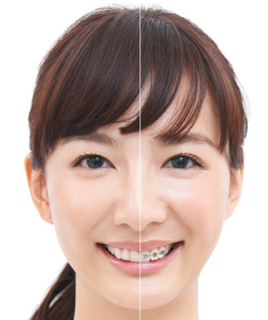 If you are looking for the best price for your Invisalign procedure, check out Invisalign Malaysia Cost. Here is a list of dentists that provide Invisalign Treatment. Pantai Medical Centre ( Dental Unit ) (730560)-MDC 2L, 8 Jln Bkt Pantai, 59100 Kuala Lumpur. A list of medical aesthetic clinics that provide wrinkles treatments in KL (Kuala Lumpur), Malaysia. Please feel free to contact us for assistance. A list of medical aesthetic clinics that provide Thermage (wrinkle reduction technology) medical aesthetic procedures in KL (Kuala Lumpur), Malaysia. Thermage is a non-surgical method for face-lift. Please feel free to contact us for assistance. A list of medical aesthetic clinics that provide tattoo removal procedures in KL (Kuala Lumpur), Malaysia. Please feel free to contact us for assistance. A list of medical aesthetic clinics that provide spider vein treatments in KL (Kuala Lumpur), Malaysia. Please feel free to contact us for assistance. A list of medical aesthetic clinics that provide permanent hair removal procedures/treatments in KL (Kuala Lumpur), Malaysia. Please feel free to contact us for assistance.